It’s almost impossible to be more inept than the LSU offense this season. Their pass offense is currently ranked 119th out of 128 teams. The rushing attack, despite having Leonard Fournette and Derrius Guice in the backfield is ranked 53rd out of 128 teams. Those are actual statistics. Statistics that only further drives LSU fans into drinking their lives away come Saturday morning in Baton Rouge. The first step to resolving this anemic shitshow is to remove the men in charge. 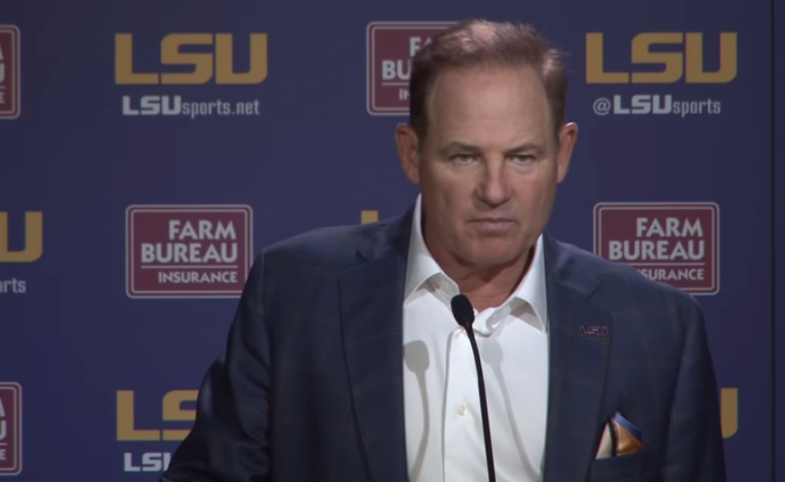 LSU’s athletic director Joe Alleva did just that on Sunday, firing both head coach Les Miles and offensive coordinator Cam Cameron. In the meantime, LSU fans are sitting at home praying for an off-season miracle featuring Houston coach Tom Herman in purple and gold. One Alabama middle school coach didn’t let the big names being tossed around on the major sports networks scare him away from applying to one of the elite jobs in college football. While we know he doesn’t have a shot in hell, and his email likely didn’t make it anywhere near Joe Alleva’s desk, LSU has been so terribly bad this year, it’s worth wondering if he could possibly be any worse than their former grass-eating imbecile. I mean that. Could a random man off the street put together a better performance with LSU’s talent than Miles? It sounds extreme, and we’ll never get the opportunity to test that theory, but I wouldn’t be shocked if it was possible. Now, this applicant’s qualifications aren’t exactly up to par in comparison to other D1 coaches. However, the first results when you Google “Etowah County” are several links to the jail’s website, the mugshot listings, and the sheriff’s office. If that’s the most prominent features of this county, you know the man has experience dealing with hardships and egos. Nothing college football can throw at him will shake him, and that’s a solid start. Give him a call, Alleva, even if for nothing more than to let him ridicule your program for a few minutes.. Being confident you’re the best candidate for the job despite having minimal experience. TFM. Member when LSU was ranked 5th this season? I’m not head coach material, but looking at the Tiger cheerleaders I’m confident there are several openings I could immediately fill.